Take control of your sound. 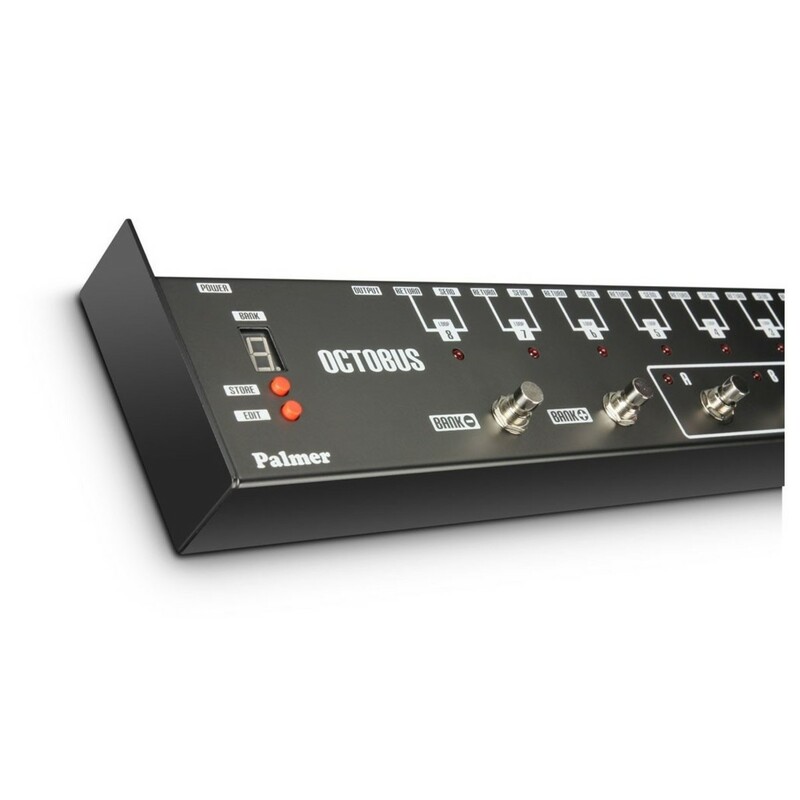 The Palmer Octobus 8-Channel Programmable Loop Switcher lets you effortlessly switch between any combination of up to eight guitar pedals. 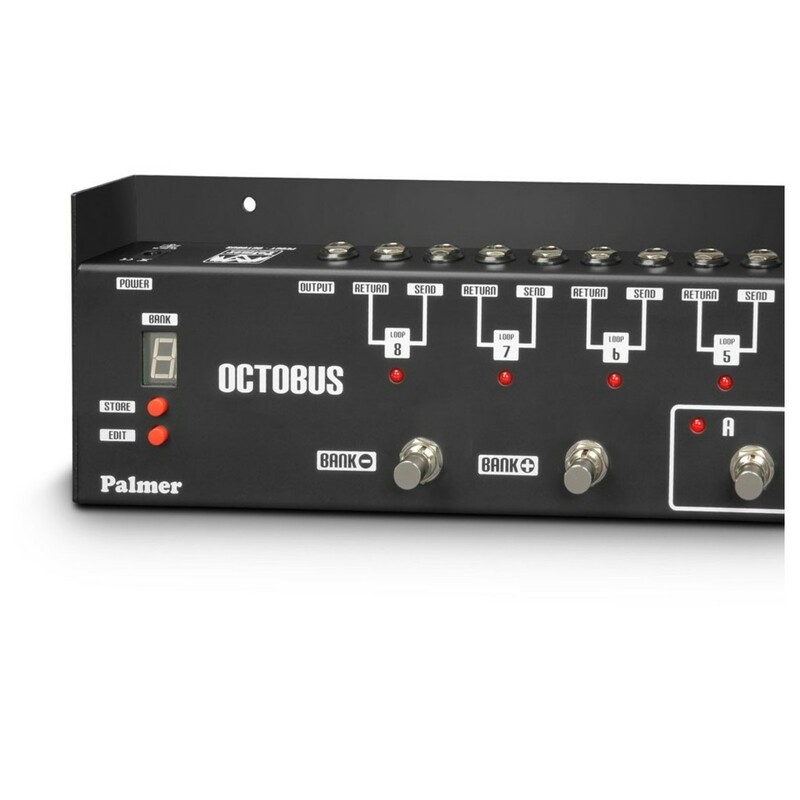 The Octobus is programmable with 32 presets, letting you get the most out of your pedals, and wildly change your tone at the push of a single footswitch. 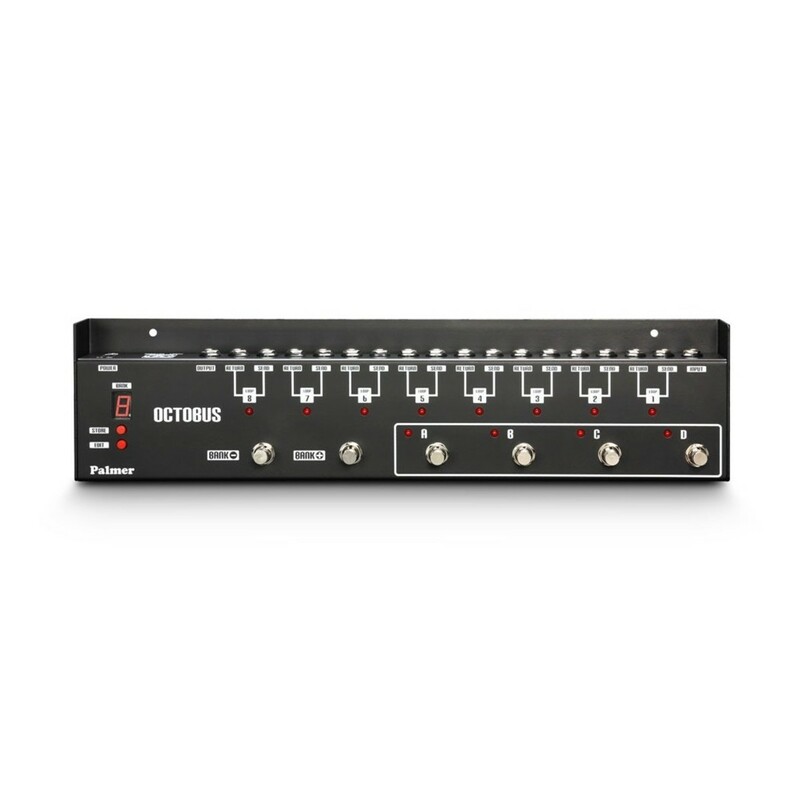 The robust sheet steel enclosure ensures you can stay in control of your sound at gig after gig. 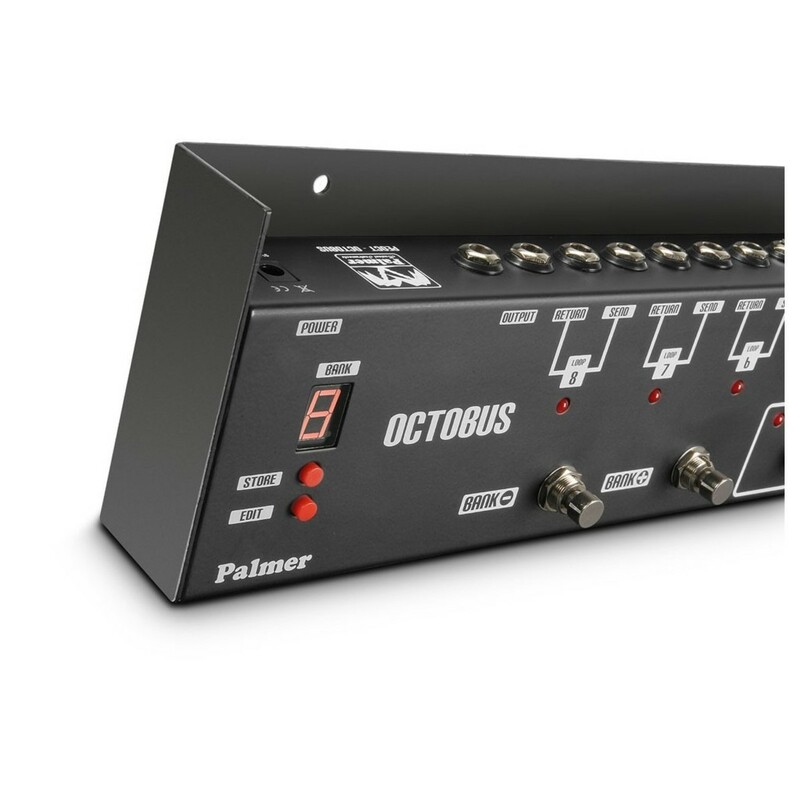 The Palmer Octobus also reduces unwanted background noise, as the true bypass completely cuts out unused pedals from your signal chain. 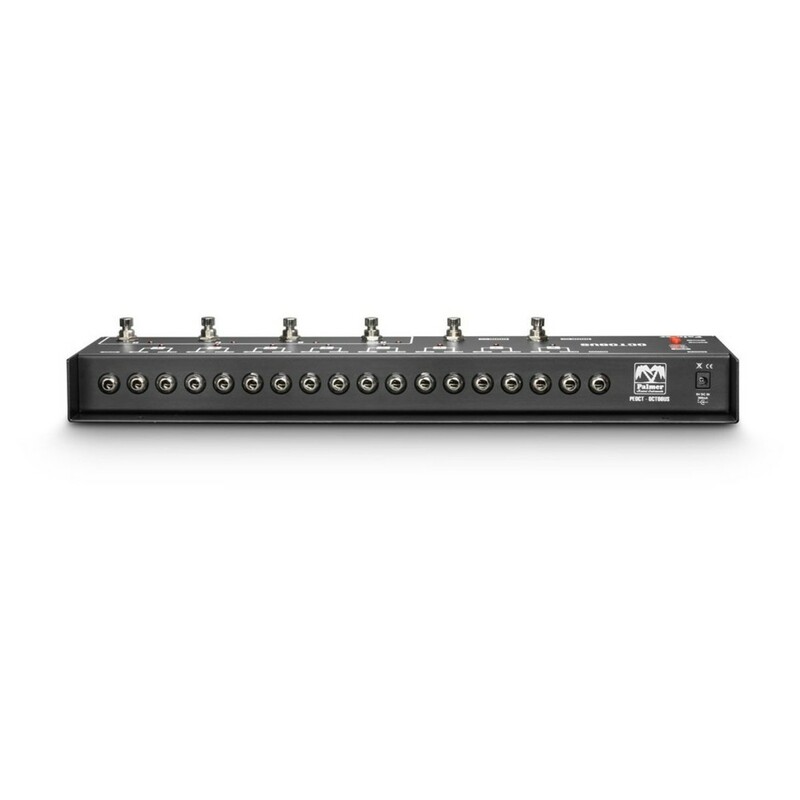 Palmer have over 30 years of experience, gaining insight into the needs of sound engineers and musicians alike, which informs their design from start to finish. 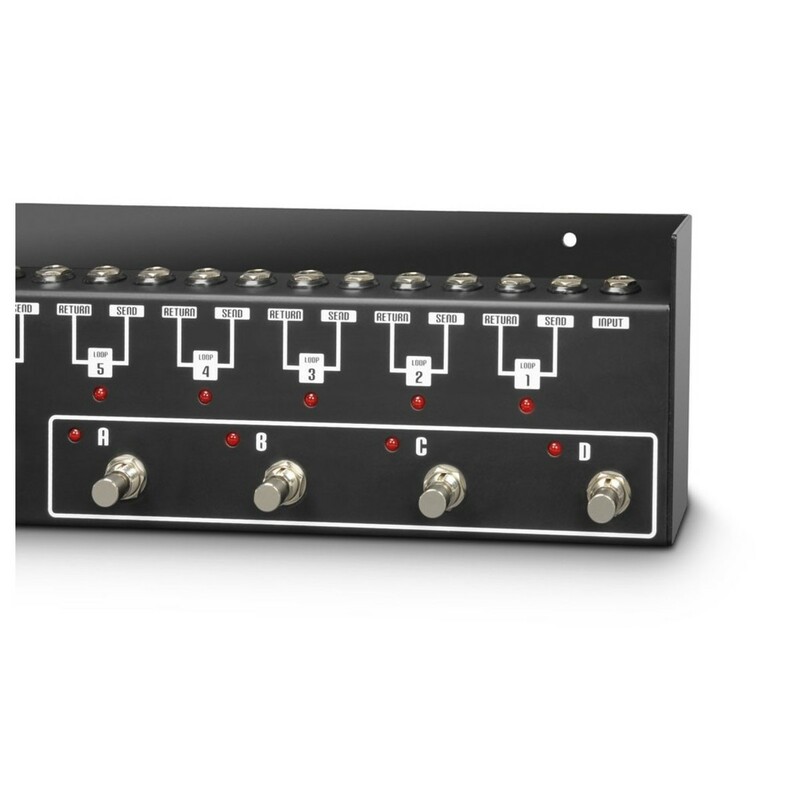 Palmer are committed to innovation in audio technology, along with the highest sound quality, reliable operation and precision down to the finest detail. They provide a comprehensive range of accessories for their products to expand the uses of and protect them effectively.